Another Cup or League dilemma? Can Paul Cook emulate Gary Caldwell by winning League 1? Or will the FA Cup get in the way? Wigan Athletic have a habit of giving the media something to feed upon. Dave Whelan certainly gave them plenty of ammunition when he appointed Malky Mackay and consequently made politically incorrect comments that the press lapped up. But he also appointed Roberto Martinez, who brought home the biggest prize in the club’s history amid worldwide media acclaim. That FA Cup win will remain in our collective memories for years to come. Moreover it created a story that the media found irresistible. As a result Wigan Athletic became known on the world stage and it is no surprise that they are now about to be taken over by a Far East consortium. Prior to that fateful day in May 2013 there were debates among Latics fans about what was more important – the league or the cup. There were two extremely difficult games coming up within the space of a few days: Manchester City at Wembley and Arsenal at the Emirates Stadium. The bookmakers did not think Wigan Athletic could win either game. In the event Roberto Martinez managed to fashion a team out of an injury-ravaged squad which went on to win the FA Cup on merit. It was a dream come true, especially for those of us who had seen the club rise from its humble origins over the years. That old debate is now settled – who would want to put the clock back and swap a cup win for a longer stay in the Premier League? Almost five years later and a parallel debate is opening up following Monday’s remarkable win against the same club. Some in the media are saying Manchester City are the best team in the world. It remains to be seen whether they can win the Champions League, then the World Club Cup to justify that label. But they have certainly been outstanding up to this point in all competitions bar the FA Cup. That a club from the third tier could knock them out beggars belief, even if they played half of the game with ten men. It was the third FA Cup giant-killing act by Wigan Athletic against Manchester City in five years. In that 2013 Cup Final, Wigan had 48% possession, equaling City in shots with 11 and committing 5 fouls to their opponents’ 11. A year later Uwe Rosler’s team won 2-1 at the Etihad in the quarter finals, the stats perhaps being reflective of Wigan’s status as a Championship division team, having 32% possession, 5 shots to City’s 12, each team committing 10 fouls. The stats from Monday’s game reflect what a remarkable performance it was from a side currently in League 1. City had 82% possession and 29 shots to Wigan’s 4 , but could not get a goal. Wigan conceded 11 fouls, although a number of those decisions were debatable, City committing 6. The application, effort and discipline required to hold off the continuous waves of City attacks was remarkable and reflects on the mentality Paul Cook has instilled into his players. It was another unforgettable day for Latics fans. So, Wigan Athletic have reached the last 8 of the FA Cup for the third time in the last half decade. A sixth-round home tie with Southampton beckons. What chance do Latics have of beating the Saints? “Believe” remains the Wigan Athletic theme. Lots of fans will say that Latics have already beaten three Premier League sides, including the champions-elect, so why not Southampton too? The realists will point out that Bournemouth, West Ham and Manchester City fielded weakened teams. If Southampton play their strongest lineup then they are likely to overcome third tier Wigan. But will the victory over Manchester City, followed by another tie with Southampton in mid-March have an impact on Wigan’s quest to get back to the Championship division? Is the FA Cup a distraction that could cost Latics promotion? The defeats at Southend and at home to Blackpool were an unwelcome surprise for a team that had seemed to be cruising towards the League 1 title. Some suggested that the impending takeover might have something to do with what was happening on the pitch. Others pointed to the upcoming game against Manchester City being a major distraction for the players. Or was it simply a matter of time until that good run would come to such a resounding halt? Moreover, Monday’s heroic performance could carry a heavy toll. The sheer exertion of running for 90+ minutes with just 18% possession is something that should not be dismissed. In addition to the next FA Cup encounter, Latics have played three games less than their promotion rivals, leaving them 15 league games to play in a 10 week period. Fans will recall the long run-in that Uwe Rosler’s side faced in 2013-14, which left them jaded for the Championship play-offs. However, that season not only included a run to an FA Cup Semi Final but also six games in the Europa League. Paul Cook’s team will be on a psychological high after that amazing performance. The question is whether they will have the stamina to cope with the bread-and-butter events of League 1. Cook is not a man who likes to rotate his squad, but he will surely have to do so over the coming weeks if Latics are to keep up their momentum for promotion. Cook’s main challenge is to keep his players firmly focused on League 1. A win against Southampton would put Latics in the FA Cup semi-final once more, but a return to the Championship is surely the club’s main focus. In the meantime, reports suggest that both Cook and David Sharpe travelled to Spain this week. Not surprisingly it is being linked to the change in ownership, which appears due to be completed by the end of this month. But perhaps it was to celebrate Cook’s birthday (February 22)? Following the cup tie Cook’s popularity ratings have reached an all-time high at Wigan. He has done a wonderful job up to this point but there remain considerable hurdles to cross over the next couple of months. 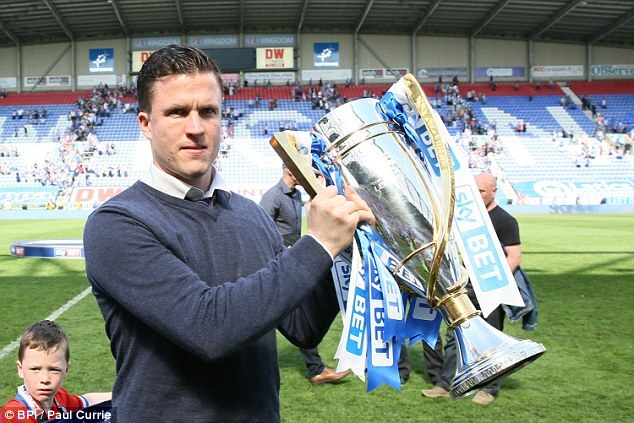 ← The transfer window – a sign of things to come for Latics?